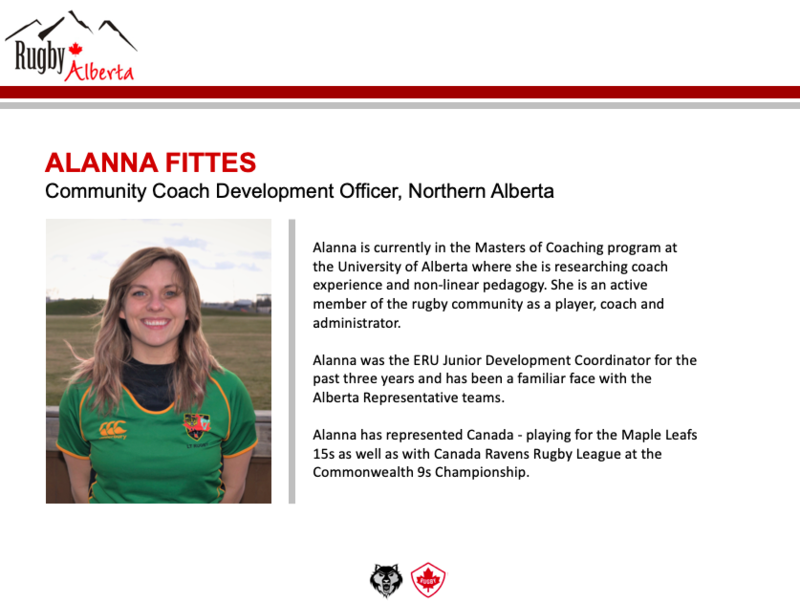 Rugby Alberta is pleased to announce the appointment of Alanna Fittes and Gordon McRorie as Community Coach Development Officers. 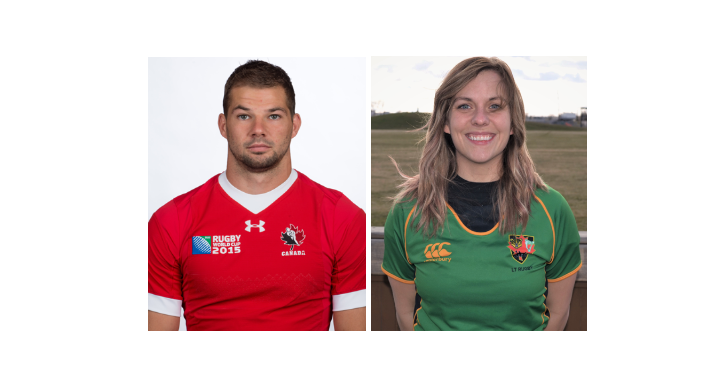  Alanna and Gordon have been appointed to develop and deliver an innovative coach development program that promotes quality coaching across the province of Alberta. 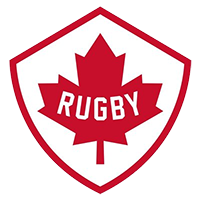 They will coordinate and deliver a regional program of coaching to support rugby development priorities, that adds value and increases the enjoyment, growth and development of rugby for players and coaches at all levels of the game. 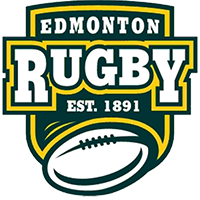 They will be instrumental in the roll out of the “Alberta Way” which is an integrated guide towards player and coach development. 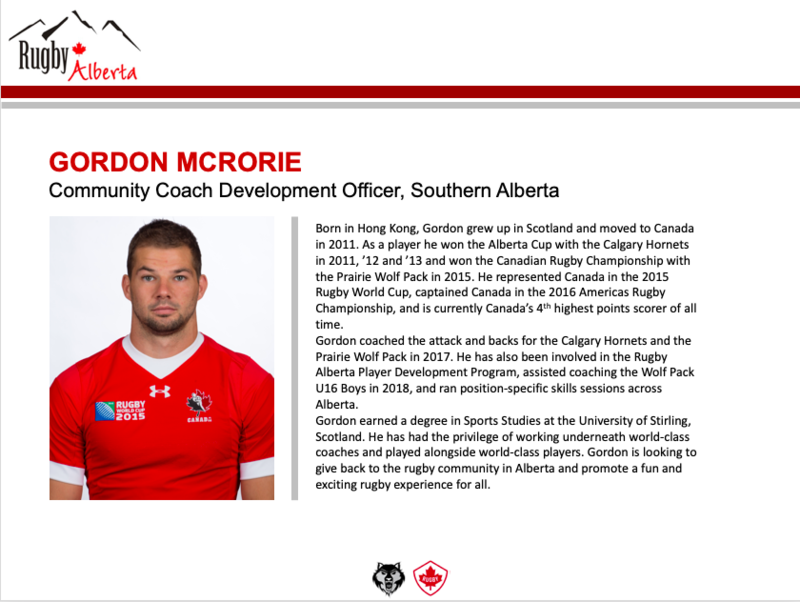 Please use this link to view or download the Alberta Way guiding framework.